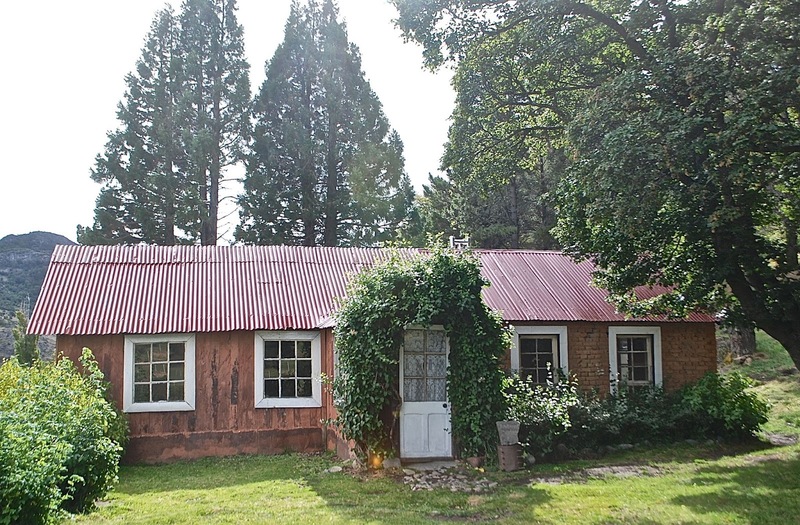 When overseas visitors make their way south to Patagonia, they assume spectacular landscapes and unfamiliar wildlife, but they’re only rarely thinking of people and culture. From their arrival in the capital cities of Buenos Aires and Santiago to the tip of Tierra del Fuego, they may anticipate encounters with Spanish speakers, but that’s an oversimplification – like North America, southernmost South America became a land of immigrants. In Patagonia, Britons and Croatians stand out, but Scandinavians were also in the mix. 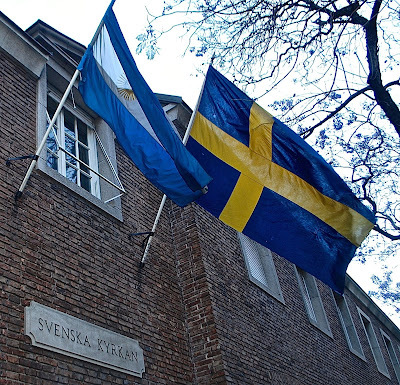 To Argentines, for instance, all Scandinavians are vikingos (Vikings), but the term is not always simply descriptive - it's sometimes a synonym for "slob," presumably for the historic Vikings' dubious table manners (full disclosure: I myself have three Swedish grandparents and one Norwegian). Two of Buenos Aires’s most distinctive churches show the Scandinavian influence - San Telmo's Dansk Kirke (Danish Church) and the Svenska Kyrkan (Swedish Church, pictured above) - and both the Danish and Swedish clubs have their own restaurants in the city. 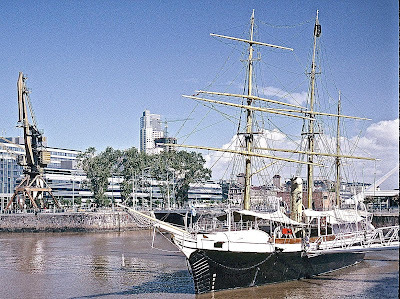 Legend says the Buenos Aires soccer team Boca Juniors chose their blue-and-gold colors from a Swedish vessel anchored in the nearby harbor. 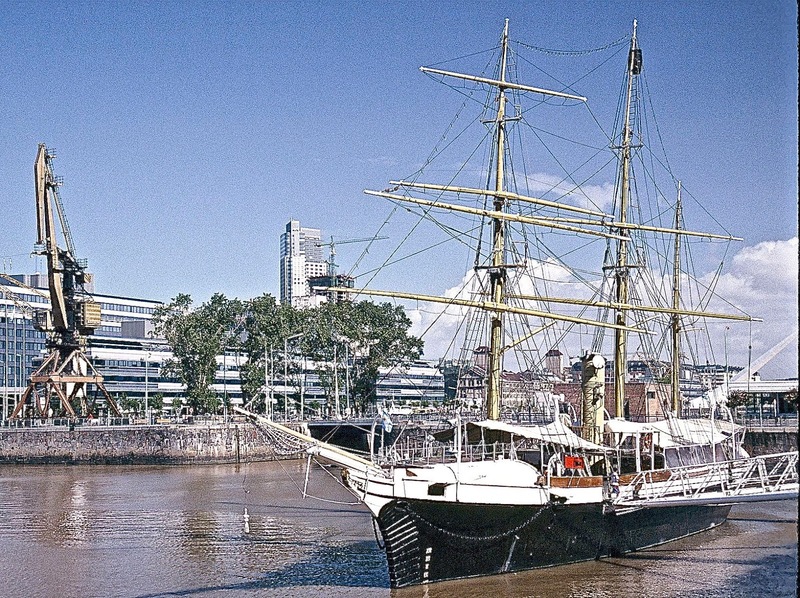 In 1902, the Argentine navy's corvette Uruguay (pictured above, now docked at Buenos Aires's Puerto Madero and converted into a museum) rescued stranded Swedish Antarctic explorer Otto Nordenskjöld and his crew, who spent two years stranded on the frozen continent. 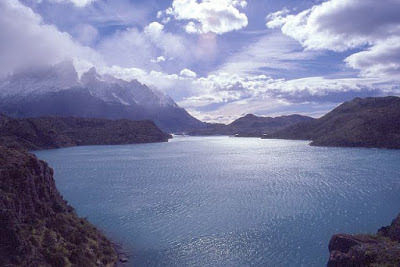 Nordenskjöld also explored Patagonia, including the area around Chile's Torres del Paine, where one of the park's largest lakes (pictured below) bears his name. Coincidentally, while hiking near El Chaltén (Argentina) in 2009, I met Nordenskjöld's great grandson Joel, who was paying a second visit to the region (the first was in 2002, when he and 16 other Nordenskjölds visited Antarctica on the centennial of Otto's rescue by the Argentines). In the following days, as his group hiked the "W" route in Paine, Joel pledged to take a swim in the frigid waters of the lake named for his grandfather. 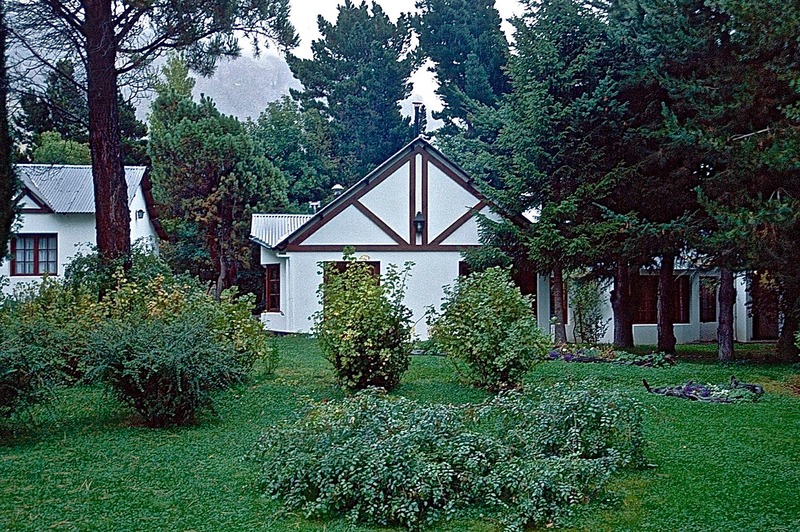 The Scandinavians had more than Nordenskjöld’s fleeting Patagonian presence, though. 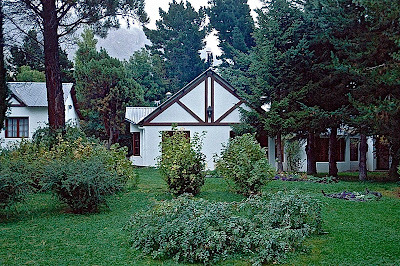 Outside El Chaltén, Danish pioneer Andreas Madsen’s homestead (pictured above) is now a museum open to the public for guided tours. 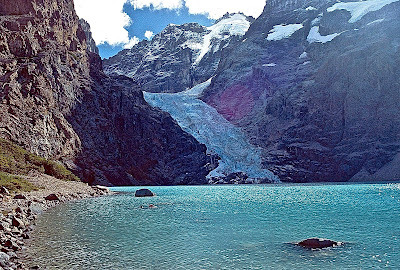 And in a remote sector of Argentina’s Parque Nacional Los Glaciares, between El Calafate and El Chaltén, Hostería Helsingfors (pictured below) is a remnant of Finnish pioneer Alfred Ranström’s century-old sheep ranch, but the surrounding area is open parkland where hikers can reach scenic Laguna Azul (pictured at bottom), which has its own small glacier. 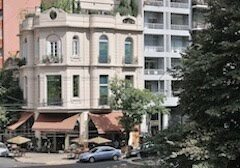 Though no longer owned by the Ramströms, Helsingfors (the Swedish name for Finland’s capital of Helsinki) offers luxury lodgings and other services, with the chance to escape the crowds at the Moreno Glacier or on the Andean trails near El Chaltén. Because there’s no public transportation, though, renting a car is the only practical option for a visit unless you stay here – in which case, the transfer from El Calafate is free.